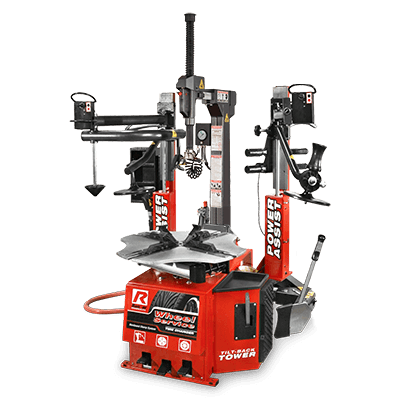 Your new Ranger t​yre changer is about to become an indispensable piece of equipment in your garage. With exclusive t​yre changing features from Ranger, the once-dreaded chore of changing a t​yre is now fast, easy and even makes work a little bit fun. 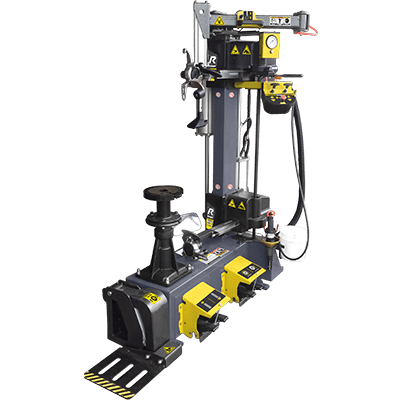 Our state-of-the-art tyre changer design offers cutting-edge technology and advanced features to make this one of the most profitable pieces of wheel service equipment that you can offer. 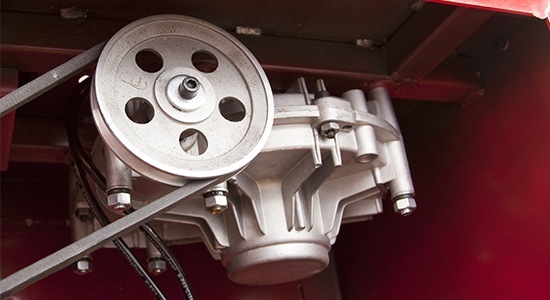 Whether you've been banging beads out of that same stubborn tyre for decades, or you've been operating tyre changers for decades, you've come to the right place for t​yre changing service equipment. Every single one of those stubborn tyre-and-wheel assemblies is protected by the people who know t​yre changer capabilities better than anyone. Ranger's premium large-t​yre models will easily handle the most massive truck assemblies, so there's nothing you can throw at us that we haven't seen before. 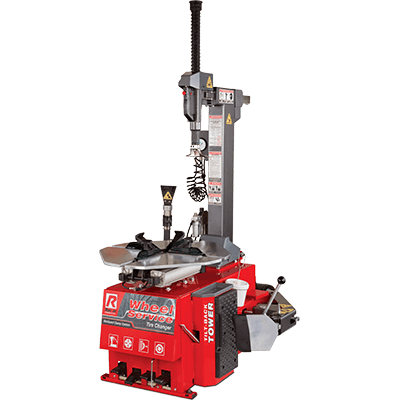 These days, the tyre changer operators have to feel comfortable working with wheels and rims that are prone to marring and scratching. Ranger offers better wheel protection to ensure you don't lose business due to a minor technician error. 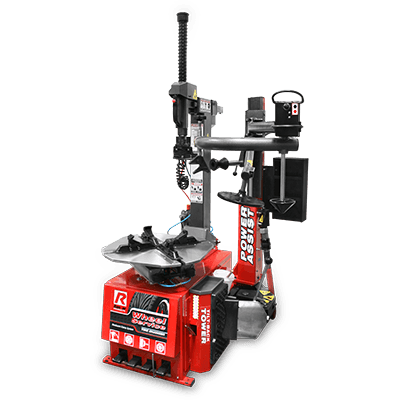 Read the 4 Most Common Mistakes When Buying a Tyre Changer, and be sure to get the model that best suits your needs! The R80EX tyre changer features a dual-assist, tilt-back tower design, so it's outfitted with the industry's best and most powerful tools. With the R80EX, you get the classic, rugged reliability Ranger is known for, plus dozens of standard features. The R76ATR is an advanced tilt-tower tyre changer that performs masterfully on a wide variety of wheels, including OEM and performance tyre and wheel configurations that allow operators to match turntable rotational speed and torque with varied tyre and wheel combinations. The Ranger R26FLT is a heavy-duty tyre changer that handles truck, bus and commercial van tyres with ease. Comes with joystick control. 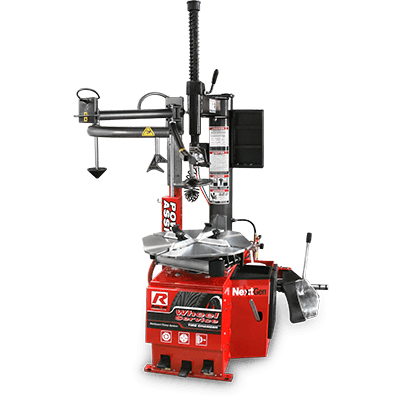 When NextGen was first introduced, our entire line of professional-grade tyre changing equipment was re-engineered and thrown into the real world for testing. Choosing the right tyre changer allows shop owners and service operators to easily move through daily routines. Whether clamping a delicate rim or fixing a run-flat, these tyre changers are as gentle as they are powerful. That's all thanks to our patented RimGuard™ protection technology. 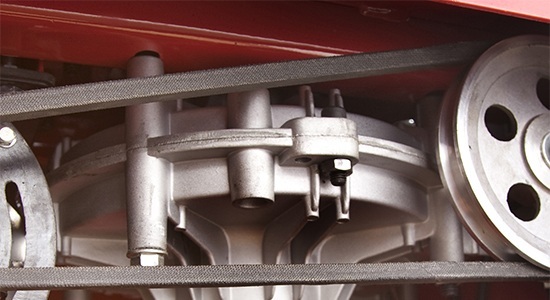 NOTE: Internal and external rim clamping dimensions do not translate directly to rim or tyre sizes as rim clamping points may vary by manufacturer. Ranger's extensive tyre changer lineup is one of the most impressive equipment offerings in the industry, with models designed to suit nearly every budget, automotive specialty and tyre size. Some of Ranger's exciting innovations include a helpful drop-center top mount arm that firmly holds the tyre in place during rotation. You'll also find a pneumatic wheel restraint device to keep the mounted wheel locked into place. Power-assist upper bead rollers assist in setting and breaking beads. 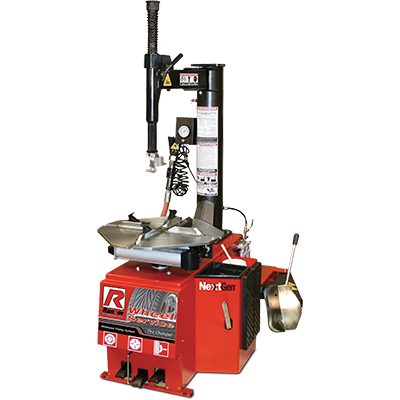 Ranger features one of the largest wheel-clamping ranges in the industry, as well as power-assist mounting towers for even more versatility. 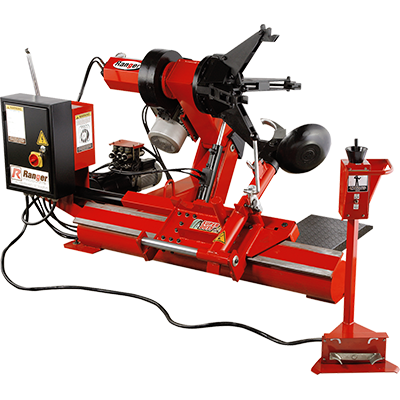 You may want to consider a swing-arm tyre changer, which gives you more options for unseating stubborn beads. 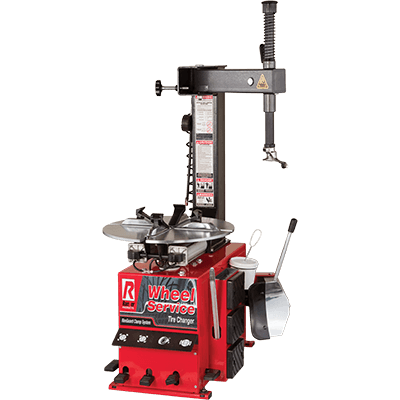 In fact, a Ranger swing-arm tyre changer just might change the way you look at wheel service for your client's car or truck. Industrial-grade, 45-micron pneumatic control valves feature die cast and machined bodies constructed from zinc and aluminum. 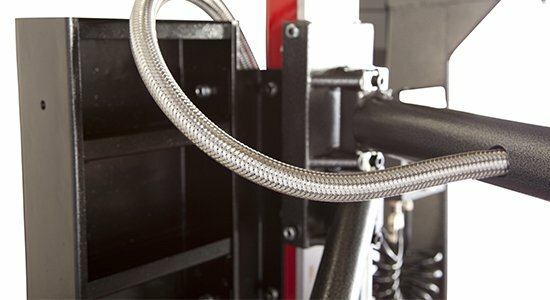 High-performance polyurethane seals and self-lubricating Teflon® piston guides increase the lifespan of your tyre changer. 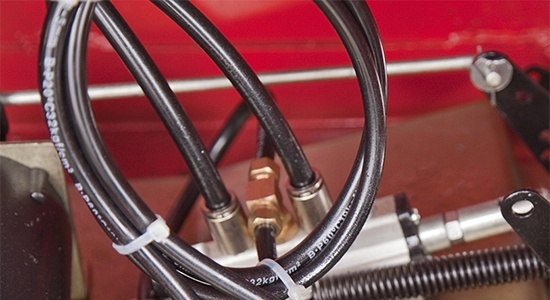 Valve plungers feature muffled extrication ports that detect dirt or debris on the spool's perimeter and blow it away whenever the valve is set in the release position. 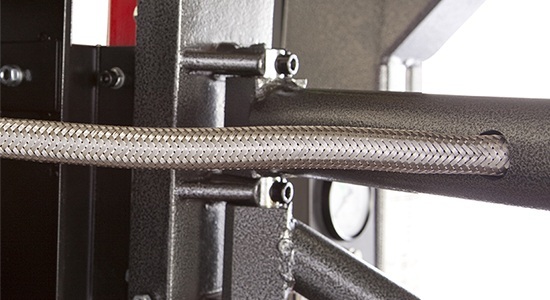 Ranger Next Generation™ tyre changers feature high-pressure polyurethane pneumatic tubing with mirror-smooth seamless bores for exceptional flow rates, high resistance to abrasions and kinks and a high burst tolerance. Never worry about maintaining gearbox components, as Ranger tyre changer's gears are virtually zero-maintenance for the entire lifespan of the unit. A substantial oil and grease reservoir dissipates heat and self-lubricates the entire system, extending the life of your tyre changer. 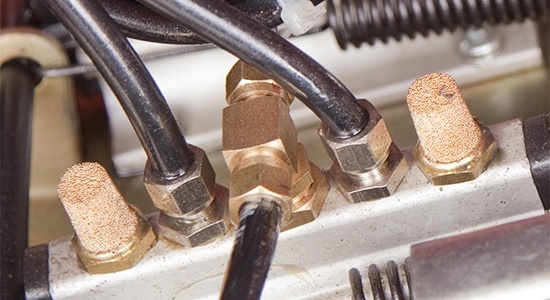 Internal baffles and seated stress flange gasket ensure venting and prevent any leaks. The gearbox enclosure is precision-milled for precise alignment of horizontal and vertical bases, and precision helical gears function better than typical spur gear transmissions, providing maximum durability and precision under load during worm and gear alignment. 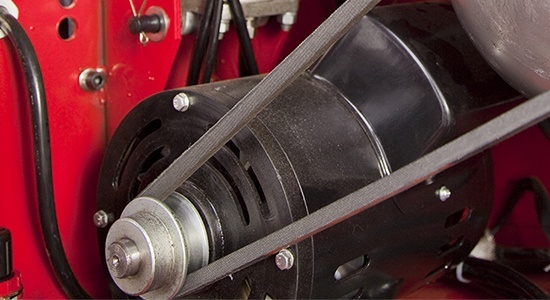 Our tyre changers are fitted with advanced electric motors: copper rotor construction, high-quality bearings, thermal-cool epoxy insulation and durable rolled steel frames are standard on every motor we put in your shop. 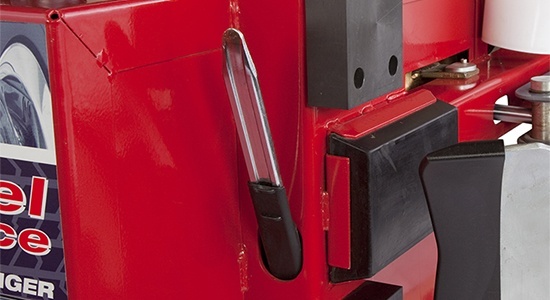 Ranger tyre changers come complete with space to keep your tools. This, of course, helps you keep a more efficient and highly organized workspace. Important wheel service accessories come standard, like a large soap bucket with a brush and multi-piece plastic wheel protector kit that includes turntable jaw covers, bead-breaker blade boots and specialized mount/demount head covers to help protect delicate wheels. We throw in a hardened steel tyre iron and bead lever tool to assist during all tyre mounting and demounting operations. 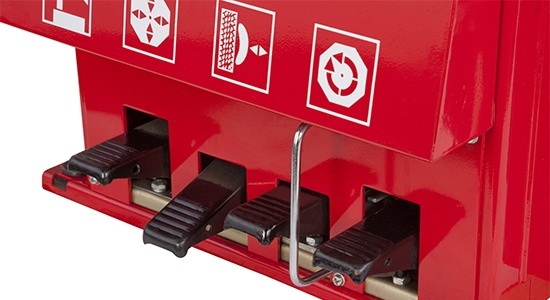 All applicable tyre changers offer upfront foot controls complete with clearly marked, conveniently laid out decals. Other innovations include tilt-back towers for increased clearance, large bead-breaking blades, powerful high-torque turntables, a jet-blast pistol inflation gauge with air dump valve and a fully-adjustable tool bar. All of this comes packed in an easy-to-use, free-standing console that's as safe as it is efficient.